Never had an angel reading before? Then you're in for a real treat! Repeat customer? Then you KNOW how awesome they are! Your angels are with you in all moments, guiding you, whispering messages of comfort and love - and you're "getting" those messages, but you may not recognize that the messages are coming from your Angelic Team. confirmation that you are not alone... you're fully supported! to help you in both your physical and spiritual life. 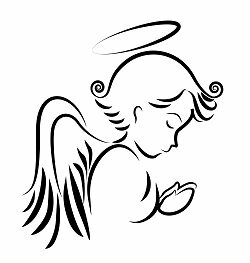 I will share with you all that the angels show me and tell me - typically the angels answer your questions - before you ask me. However, you may ask the angels questions after they deliver their messages. Most messages are from your angels, but guides, archangels and sometimes deceased loved ones come in, but not always. This is not a medium-ship reading. I will ask the angels what they want you to know, then share with you what the show me and tell me. You will receive your reading within 5 to 7 business days. When you receive your reading, please respond letting Kate know you received it. This email reading is not a full reading! If you want a full reading, please order the phone/skype reading. Reserve 45 minutes of UNINTERRUPTED time for your reading - TURN OFF other PHONES! Note: Kate is not using her scheduler at this time. Use the above PayPal button to purchase your reading - include your phone number. Kate will: call you if you're in the US to schedule your appointment. If you're outside the US, she will email you to schedule. Weekends and evenings are available! As the "reader" I have been profoundly blessed in connecting with your angels. They have shown me incredible visions of you and your power as well as given us blessed tools to make life on Mother Earth easier during this time of transformation and ascension. In essence your angels have shown me what true, limitless possibility is, and it is you, each one of you that I have read for. I am honored to be a part of your journey! Thank you, thank you, thank you! I have also been hearing a word in my mind, as you were talking about something like fairy dust showing up as my angels were sending their love, I keep hearing "star dust" and I know that I am being loved beyond this time and space. Beautiful. Kate, I wanted to thank you again for my lovely angel reading last Saturday. As soon as we spoke on the phone, I felt a connection with you. The reading comforted me and I felt at peace. I’m at work today which is always stressful so when I felt I was not in the “light” I pulled away from the stress, fear and asked my angels to help me. I just ordered today Florence Scovel Shinn’s The Game of Life Workbook. I am looking forward to it. I also felt honored that your father was around and when I wished him a happy birthday, he said “thank you”. So sweet. Again, thank you and many blessings to you and your family. Kate, Thank you so much for the reading it was just what I needed:) I decided to go to the beach this Sunday I am gonna take my horse and one of my dogs and camp for two nights there!! It'll be very nice.. I will defiantly send you some Africa pictures!! Thank you for the most healing and helpful reading a few days ago. I am so grateful for your work and willingness to help me and shed light from an angelic perspective on my human problems! I listened to the Worry Angel program as an intimate secret gift to my daughter's birthday and cried so much. My Worry Angel was all in rags like beggar because she's been unemployed so long! Her name is Hanna. I just want to say thank you for your generosity in sending the healing meditation materials and thank you for the wonderful experience I had during our visitation with the angels yesterday. It's so timely; I feel it's the work of God and the angels... I'm still processing and will work with the recordings you've sent me. I need this right now. God bless your heart for the beautiful work you do and for sharing it with the world. 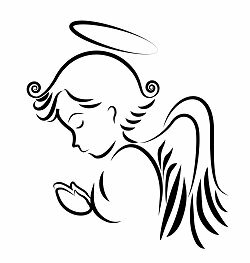 Thank you for the wonderful angel reading! You truly opened my eyes to the angelic realm. The time spent with you was so uplifting and powerful. I appreciate the love and encouragement as well as the guidance and clarity I gained from the call. You have such a gift! This is absolutely the most beautiful reading! It is so helpful to me at this time in my life, facing life decisions, moving to a new area of California, leaving old relationships behind and forging new ones in my new area. It is exciting and also a bit fearful - this message helps me to drop all fear and look only to the glorious future with joy and anticipation! Thank you so much for relaying it to me so perfectly....I will treasure it and save it carefully so I can refer to it often whenever I need a 'boost' of love and self-confidence to see me through any shadowy times. Just wanted to let you know that I received the reading, and it resonated with me. I am a special education teacher, but never considered myself as a leader. I am one of sorts because I have to manage my classroom and students, although sometimes I feel that I am not as strong of a leader as I could be. Thanks much for the enlightening reading. Thank You so much for such a wonderful angel reading. It is very comforting to know that angels are with us all the time and we can call upon them for help. What a gift god has given you for you to be able to do this. Thank You again and I look forward to another reading in the future. was with where I am now was helpful. That you saw progress both physically and spiritually was reassuring. same way that I did. It is different now, and there have been times when I felt like I was communicating with no one. Energetically, I feel like I'm in resonance and in sync with what Spirit and the angels told you to tell me. Many thanks, Kate, and great big angel hugs for the reading! You are an earth angel! How can I thank you enough for helping me "see" what is now before me. Now I know what a soul kiss and hug from Spirit feels like! I'm in tears because it's such a profound experience. This is such a "wow" moment, I don't know what else to say. Thank you so much for being there for me and for helping guide me on the way. Thank you so much for the reading with my angels! I will follow this guidance to the best of my ability. You truly are a blessing in my life, and my family members that I forward your daily messages to. Everything that was in my reading is true, concerning a family member who has held me down for years and we haven't talked in a month. I know I have to forgive, I guess I was feeling like I was the victim of her attacking me constantly over the years. Which is true. I feel at this point in my life that I have to let her go. As to the other person which is a very dear friend of mine is getting married to a person that she doesn't love and it is all about materialistic things and money. They are a very toxic relationship and I try to tell her these things but she doesn't listen. I'm going to the wedding which is just going to be immediate family and me. I just want to be there for her incase she decides not to go through with it. I do love her dearly even though I don't understand why she stays with someone who has hurt her so many times over the years. I thank you from the bottom of my heart for you connecting to my angels. I talk to them all the time and pray for my family and friends and others. God Bless you Kate always and forever! Thank you so much! The information is wonderful. So much for me to ponder. I will read it over many times. I hope this email finds you well and blessed. I wanted to let you know what has been happening in my life since our reading together. It was a matter of just a few more days until I shifted completely into love source. The reading with you facilitated the shift which has begun drawing my dreams and intentions to me like a magnet! My life now, is truly amazing. I am happier than I have ever been and equally as important, I now feel safe here on our Planet Earth Mother Gaia. Thank you so much for what you do. You have facilitated a shift grander, of course, than ANYTHING I could have imagined. God and his Angels are, indeed, GREAT! Love, Light and Peace be with you this day and always. Dear Kate, I received this most wonderful reading and of course it was Spot On again. I was being guided to get a "tune-up." Thank you so much for your tremendous help in this reading. Sometimes it takes someone else speaking with them, and offering clarity and validation to shift me back to having faith and trust in what I am receiving. To get me out of that fear that is sweeping the planet. May Love, Light and Peace be with you always Dear One. I wanted to tell you that I enjoyed our time together immensely. I have never had a reading that I felt was on such a spiritual level. I know that's what I have been looking for. I wasn't looking for earthly type answers as much as my spiritual mission. You answered that for me so beautifully. I really felt everything in my heart and like I said, I feel like a tremendous weight has been lifted off of me. I know that can sound like a cliché sometimes, but I didn't realize how weighed down I was with worry and not knowing where I was supposed to go from here. I downloaded the reading, meditation and the first tool in the kit. Thank you so much for gifting me with this wonderful opportunity to grow. I was always afraid I was too old to have much of a mission left, but I realize it's ok and my mission begins now! I felt a real connection with you, too, and I would have enjoyed talking with you even longer. Your gift is very precious and I would enjoy learning more about you and how you learned about your gift and were able to develop it. I'm going to check on Blog Talk and see if I can download some of your shows, too. I know I'll learn more there, too. Thank you again, Kate, and I will keep in touch as things begin to manifest! Since I received my email message from Kate, I've had to sit with it and just process the message several times. Every time I read her words, I'm amazed. Kate's beautifully channeled and written message couldn't have hit any closer to being on-point about what I need to know right now. It is difficult to express how wonderfully reassuring her message has been and how much it has meant to me. All I can say is my deepest, most heart-felt thank you, Kate. You are an angel! I just read the newsletter about John Denver and want to say thanks for sharing that. He was THE Big Deal in my husbands and my early years together and we still watch his Christmas Special every year and I still cry buckets every time. Both he and John Lennon had the Christ energy in them and were so special. A few weeks ago you did a reading for me and it was brilliant! I received the email reading and read it on the solstice and it was really a heart-opening experience. Everything you conveyed really resonated with me. You mentioned about seeing me in a garden, and I do feel more myself when I am in nature. You mentioned writing in a journal and I recently started doing that as a way to connect to my divine guidance. All the things the angels conveyed touched me deeply. I really felt their love and support. Their remarks were very encouraging to me. I have been receiving many angel "signs" and been more open to their whispers of guidance when things are brought to my attention as guidance to pursue something or to help me with a decision. It's still definitely a learning curve to write to my guides and then wait to hear their response. Some days it's effortless and some days I get nothing. I'm not discouraged because I know I'm still learning their "language". Thank you again and much love and light to you. I wanted to thank you for the angel reading, and wanted you to know it resonated with my life at this time. I have allowed fear to rule my thoughts and have found it difficult to feel the joy in the journey these past months. Your message reminds me of the help that is available, and I have only to ask for it. Your work is truly blessed, Kate. reach my Angels. (punctuation and grammar were not my strong suites. The reading is like beautiful poetry. I told you nothing but you revealed so much what is going on. I thank you from the bottom of my heart. I recently had a "reading' with Kate and my Angels. The experience with Kate herself was angelic and left me in a state of bliss. I now know I AM SURROUNDED WITH LOVE AND SUPPORT. It felt so good! And... that's when you know you are connected. We are in a world where we want so much to find our answers. Kate's help with this in my life was HUGE. I had a breakthrough in regards to my karmic journey. I learned that since the age of four, my theme has been about "obligation." That is, obligation to everyone except me. I'm at a crossroad now and I'm turning right. Right to me. Everyday now I seem to be having an experience where I can choose to keep my power. I am learning the biggest lesson of all- how to love myself. What a concept!!! As the song goes..."I Can See Clearly Now." Love it. Thank you Kate, with all my heart. I just wanted to thank you for this amazing reading - it really was profound and inspiring to read - and interestingly enough - I am heading to Yosemite this weekend - so I will be in nature - and have time to reflect on the many positive paths in front of me. WOW. You have given me such a wonderful gift today. I agree that I do have a special group with me. I have always "felt" them and now even more so with Billy being among them. I am overjoyed with the reading and will practice the message. Thank you for a perfect reading. I do live near the ocean and had just gone a few days before the reading. I had told myself that I needed to keep going back because I felt so good there...it had been a long time since I had been to the ocean. Everything you wrote resonated deeply with me. It was a beautiful validation. Thank you so much for your angel reading. Everything you said was spot on and really resonated with me. I felt such a great sense of comfort after reading your words and am so grateful for the opportunity to connect with you. I intend to pursue your suggestions on achieving a greater calm and peace of mind. Thank you for my angel reading. It was right on and I will take my message and really pay attention from now on. You have a gift, thanks for sharing it with me. Thank you so much Kate - beautiful message! Thank you so so much for the angel reading. I've found it so comforting and helpful and it couldn't have come at a better time in my life. I appreciate your words and advice on how to move forward to a happier life. I have been hoping to connect with my guardian angels for some time now and look forward to using the meditation. Thank you so much for the reading! I've read it briefly and haven't had time to really look at it until now. As always, I get such joy from my readings from you. Again, thanks so much for your reading, I value all the work you do so much, it is a part of my daily life, so thank you so much for all you do Kate!!! Thank-you so much for the reading! Your message definitely has meaning for me, and I have also been knowing I need to get outside in nature more. I wholeheartedly recommend a reading session with Kate. The combination of the cards messages and channeled angel guidance is truly enlightening. I received guidance in the areas of my life that I have been pondering and the session resulted in my being focused on future action and empowered to move toward success. Kate’s caring demeanor and commitment to working with and helping others is truly refreshing. She has found her calling and those of us who have the opportunity to work with her are truly blessed. Thank you for sending this reading - I loved it. It made me cry right away, just because I thought you 'knew' me and recognized who I am. Also, that the the angels 'know' me....it's nice to be acknowledged, and also to receive guidance! I'm so happy that I have 'met' you....I know that I can contact you any time in the future for angelic guidance and assistance - it is comforting to know in these times of increasing change, challenge and uncertainty. Thank you so much, Kate, for all the light and love you have brought to me; I feel immensely supported by you, all the angels around me, and Jesus. Thank you so much for the angel reading. I am so happy that my angels can share with you. It is a powerful message for me. I needed it. Thank you Kate for you have helped me confirm the angels helping me, In what areas I need to work on and to be truly grateful for the beautiful messages. I appreciate the help. God bless you and the work you do. Thank you for such a wonderful and detailed message from all the angels who are with me. I am so inspired and uplifted by their guidance and direction. I was headed for a divorce, but through prayer, introspection and divine guidance, my husband and I are going to give our marriage another chance. This angelic message supports our decision completely! I feel encouraged and supported to open a new door to a new life, leaving negativity behind. Thank you so very much - not just for my personal reading - but for putting your Love action with your readings. I am so profoundly inspired by the words and the message you have channeled for me. It is a most precious skill that you so lovingly choose to share with others, like me, seeking clarity and Guidance. Through you I have heard what my angels have said, and I will follow the advice given to me with faith and enthusiasm! I just wanted to thank you for an enchanting reading. I loved it. This new addition to your soulkisses is wonderful and I feel honored that I was one of the first to receive such a great reading. Your angel reading has opened my eyes and has inspired me. I want to thank you so much for your time and help! You provide wonderful angelic input for our lives which gives us so much joy and upliftment! Thank you for your service to all of us, Kate. Kate has a keen gift of talking with the angels. She has done an incredible job of passing these messages on. They have been dead on each time and have given me a strong sense of peace and comfort. Receiving an angel reading from you, Kate, has given me great insight into my world. Not only was your reading quite accurate but it gave me the opportunity to look at some situations through different eyes. I see much clearer now. Thank you for giving me the opportunity of having a reading and sharing your special gift with me. I look forward to the next reading.